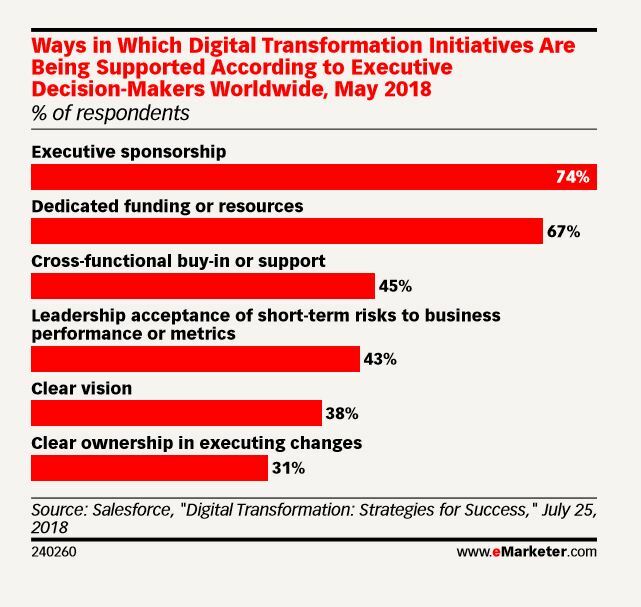 At DMEXCO in September, eMarketer interviewed marketing and ad tech attendees, including our GM of Media and Growth Channels, Lewis Rothkopf, about how the industry is tracking against “digital transformation.” eMarketer has just released the compilation of these interviews, and the consensus is that while many in the ecosystem think they’re making gains, there is still a lot of work to be done. Our research with Econsultancy, released the same week as DMEXCO, found a similar sentiment—91 percent of the marketers surveyed know the value of putting the consumer first, but 51% don’t fully do so. But the work has begun.